Carole, myself, and Terri last holiday season. Carole has been working at the Shop for 40 years! Five years later, a young teacher named Sally Mermel got the idea to start her own business after being faced with the teachers strike. 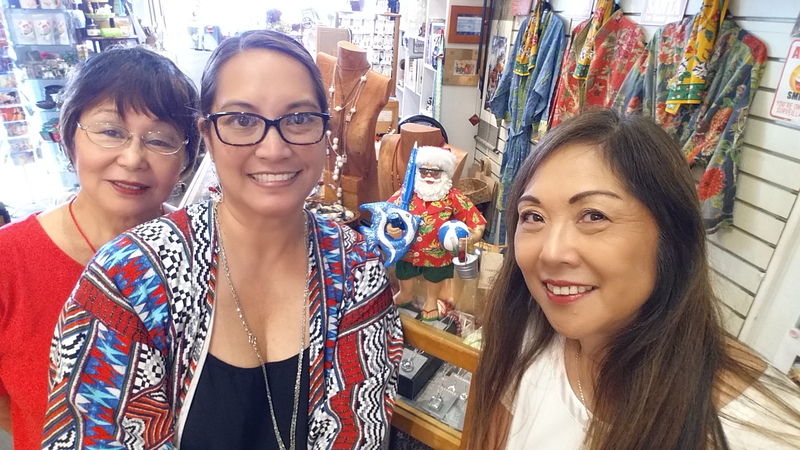 She decided on a small location for a retail store in Downtown Hilo, on Keawe Street, and name it The Most Irresistible Shop in Hilo. It would emit a friendly vibe and carry the most unique products. Even after opening a second location at Prince Kuhio Plaza, years later, it continued to provide everything irresistible. You can choose to have a printed or emailed receipt. Ooooh!! 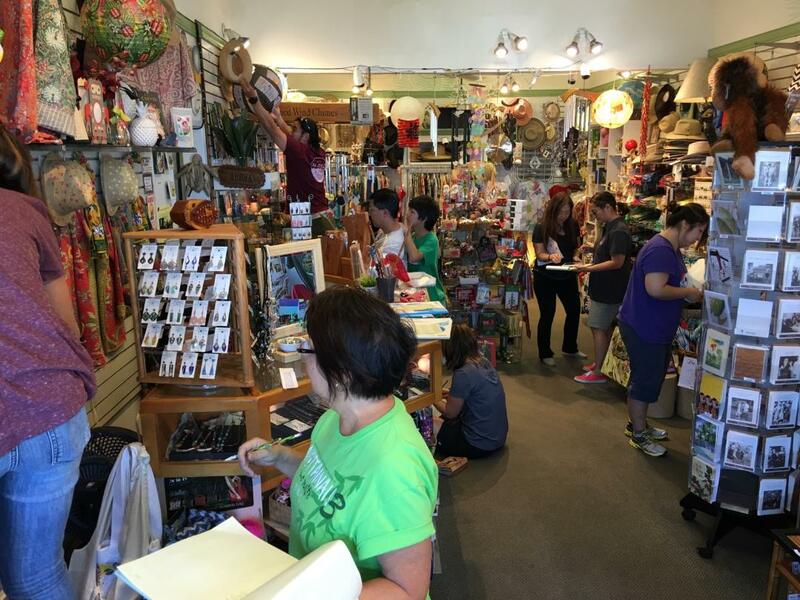 For years, the Shop was a favorite stop for anyone looking to purchase gifts and home decor. Not to mention a vast array of Hello Kitty items that, in my opinion, rivaled any other Sanrio distributor in the State. Such a unique and personal setting made it easy for everyone to fall in love with the place. Especially for current owner, Tracie Yoshimoto. “For forever” as she claims, Tracie has loved the Shop and everything about it. She even told Sally that if she were to ever decide to sell it, to call her first. After 37 years of running the shop, Sally did. 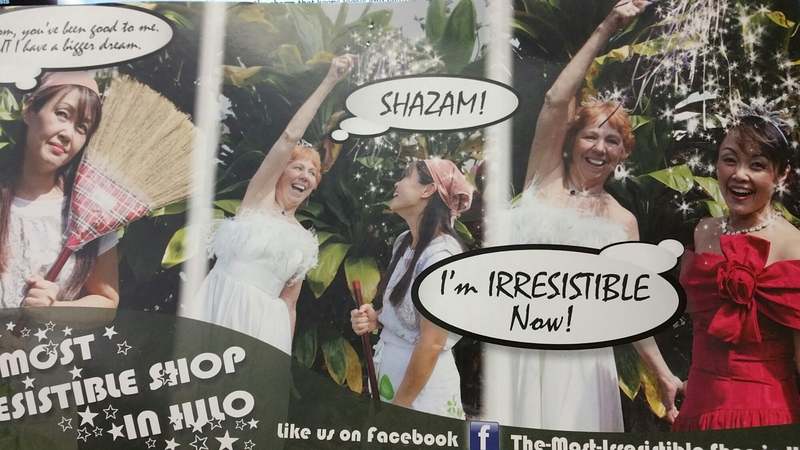 An out-of-the-blue phone call arrived and Tracie’s secret dream of becoming the owner of The Most Irresistible Shop In Hilo came true. That was three years ago and now it’s time to celebrate 40 years of the Shop’s existence. Forty years! Tracie has kept everything pretty much the same in terms of aesthetics and inventory, the charm that keeps locals and visitors attracted. Yet, she has slowly stepped into the modern world and recently installed a new Point of Sale system by Lightspeed. What an adventure it has been! We figured out that there are almost 4000 different items in this little space so it’s time to expand. Plans to double the space after the recent departure of The Fireplace Center makes for even more exciting adventures for everyone involved. One of the last inventorys to be done with paper and pencil. Hooray! Helping the community is important to MISH. Providing donations, selling items on consignment, and being a ticket outlet for fun events around town is just part of the hometown vibe that everyone is accustomed. I am lucky to be a part of this milestone birthday since I’ve been working on the inventory/POS…and so can everyone in Hilo! A MISH postcard should be arriving in customers’ mailboxes soon. Get 40% off one regular priced item (exclusions apply, ask for details), now through November 13, 2016, so you won’t want to miss out. Don’t forget to fill out your Wish List to be eligible for a special drawing. 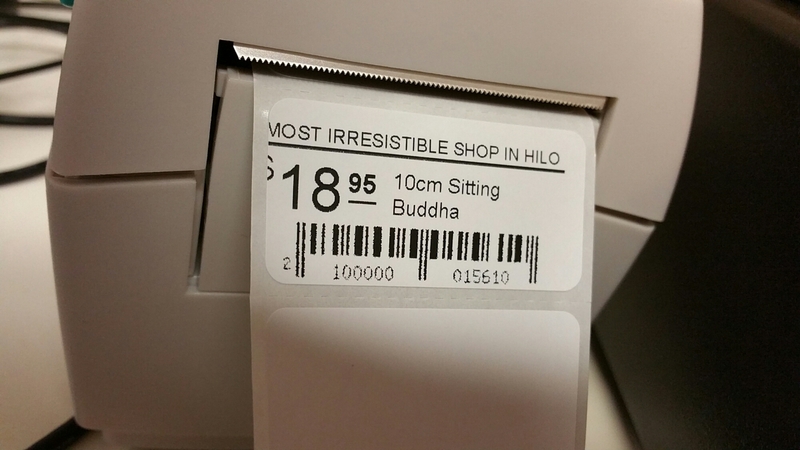 New price labels that can be scanned. Exciting!